Of course when we think of severe weather, thunderstorms are the first thing that comes to mind. 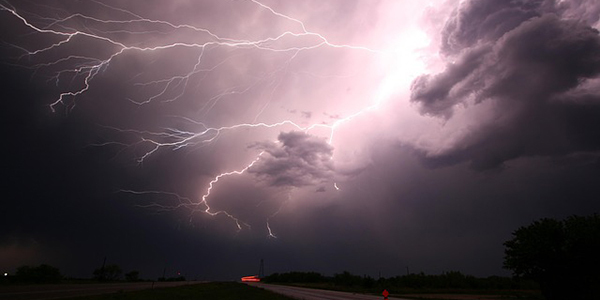 Lightning, flash floods, and tornadoes accompany these severe storms and lead to property damage and unfortunately fatalities. Flooding also becomes a concern, especially when thunderstorms move very slow or redevelop over the same area. Rainfall rates of 1-2”+ per hour can lead to flash flooding within these storms. Sometimes you just don’t know how deep the water is in front of you. 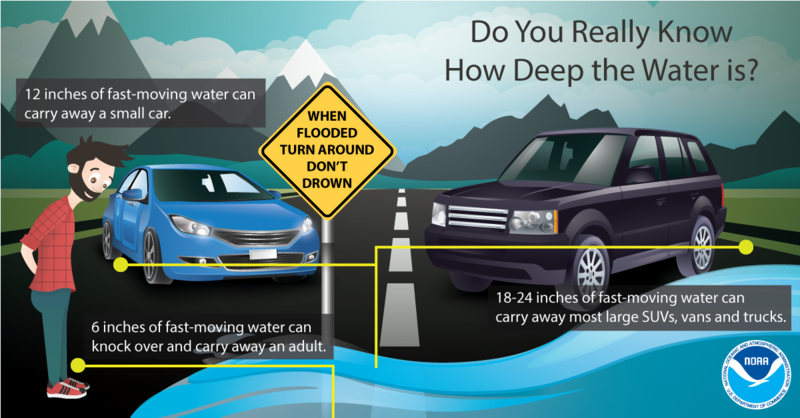 Best advice is to turn around, don’t drown. Here's a few facts about flood waters courtesy of the National Weather Service. Finally, let’s talk about tornadoes. They can happen at any time of the day or night, but 3 – 10 PM is the most favored time. Winds inside a tornado can reach 200+ mph and are “measured” on the Enhanced Fujita scale. They can range from an EF-0 to an EF-5 (strongest). If you are in the path of a tornado, get to a safe location and away from windows on the lowest level of a sturdy building. If you are caught outside, try to get to a sturdy shelter. However, never take shelter under a bridge, and only lie flat in a ditch as a last resort.